Office 365 Support and Deployment in NorwichLast weekend we completed a POP3 email migration for a regular business customer from Norwich into Office 365. They were previously using Outlook 2007 for all the business email accounts. 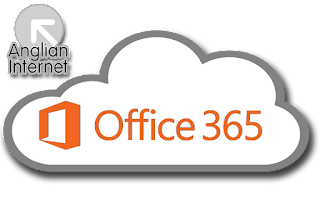 Anglian Internet done an export and import migration directly into all the Office 365 email accounts. We also exported and imported the address nickname NK2 file from Outlook 2007 and imported into Outlook 2013. The benefits of using Office 365 are a 50GB mailbox, Outlook 2013, better spam filtering and shared calendars between the staff. If you'd like to find out more about how Office 365 could help your business in Norwich contact our support team on 01603 400200.